A gas safety certificate tells you that the gas appliance or gas fitting has been checked to see if it is working safely and meets the correct safety standards. This information may also tell you when you next need to service the appliance. Itâ€™s important to get your appliances regularly serviced to make sure they are working efficiently and safely. You should also have a gas safety check done on all gas fittings and appliances every year. 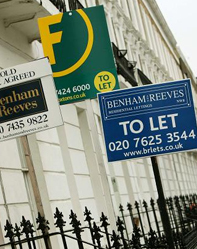 Do you live in a rented property? Your landlord is responsible for your gas safety. If you rent a property, ask your landlord for a copy of the current Gas Safety record. This record shows that gas appliances have had an annual gas safety check by a Gas Safe registered engineer. Landlords must also maintain gas appliances, so check the date when yours were last serviced as well. 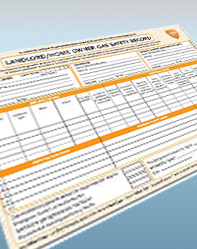 Landlords must be able to provide their tenants with an up-to-date Gas Safety record (CP12). By law, landlords must have all gas appliances serviced once a year by a Gas Safe registered engineer. The Gas Safe registered engineer will provide a Gas Safety record upon completion of the check. What information does the Landlords Gas Safety record (CP12) contain? Description, date and location of each appliance and/or flue checked. Name, registration number and signature of the engineer who carried out the check. The address of the property at which the appliance and/or flue is installed. The name and address of the landlord (or his agent where appropriate). Any defect identified and any action required or taken to fix it. Confirmation of the results of operational safety checks carried out on the appliances.